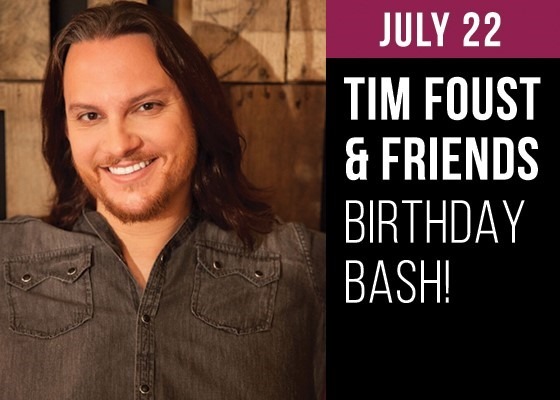 Home Free fans will want to make their plans now to attend Tim Foust & Friends 2nd Annual Birthday Bash at City Winery Nashville,. Tim’s birthday is July 19 (that’s my birthday, too! ), and he will be celebrating with a Birthday Bash on July 22. Tickets range from Balcony to Premier and are available for between $30 and $40, depending on the seating you choose. You can find more information about that by clicking here. Home Free fans know Tim as the bass singer for the group, but there is a lot more to Tim. He is a singer, songwriter, arranger, has a solo album, and since joining Home Free has collaborated with Kenny Rogers, The Oak Ridge Boys, and Charlie Daniels.